Many ideas & approaches I have done in Buddhism were heavily criticized. But I stuck to what I believed most of the time. And in the end, it starts to work out. I’m not a traditional goody goody Rinpoche & even if I wanted to be I can’t. 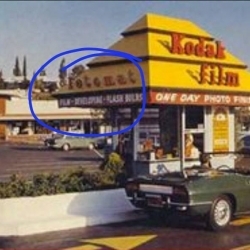 Times, environment & people have changed. So we have to move on with the changes, evolve, adapt and morph into something new & better for the current times. I’ve never changed my motivation & goals, but I always change my approach. If you enter my world, I will not be what you think I should be or the traditional teacher. Get rid of your projections. There’s nothing traditional about me or my friends or my style. But what I share in Dharma is genuine though. I am not proud of it nor am I ashamed but it is just a fact. I am different not because I try to be, but because I am. I’ll continue to raise eyebrows & spark talk, but it’s ok because I will make it and I will bring dharma to millions. I will continue to work hard for others. 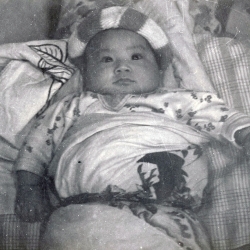 Tsem Rinpoche in an American ‘Tantric Dress’!!! 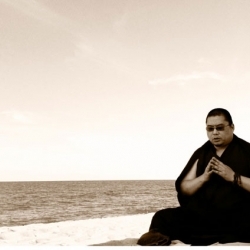 Rinpoche’s teaching is profound, easy to understand and related to us. The teachings reach our heart and keep us contemplate. We are so fortunate to have merits to listen and learn dharma from Rinpoche. We like the ways Rinpoche shares the dharma with us. Never ever be tough to all Rinpoche and teacher. Must respect and learn to accept thing, because of Rope. This is so true! I just enjoy Rinpoche’s style so much. It is just a way that it would help people of our times to accept and learn in a faster manner. Rinpoche’s method is a way that it is easy for us to understand. The methods RInpoche uses is closer to our hearts, hence, allowing us to understand better. I am so happy that we have Rinpoche around us, making all the information so easily found just of the internet no matter where we are we will still be able to learn from the comfort of ourselves. 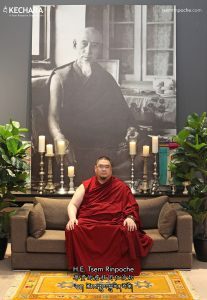 Rinpoche is truly a lama of the time, to be able to use what is available to him and to tap into the current resources and technology in this time and age. And he is always creative in using many ways and methods to bring the dharma to many people to people of all ages. 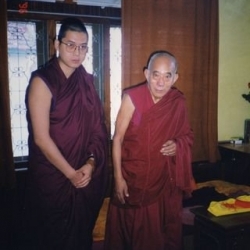 I count myself most fortunate that ,though I met Rinpoche late in my life,nevertheless, I MET HIM! By my meeting him, I came straight into the Dharma path. The Buddha Dharma is about letting go of your perceptions that what is conventional and the traditional is the truth. When, with pure motivation, Buddha Shakyamuni went the unconventional way to discover the truth about the meaning of life, society and even his own family condemned him, because all were bound by conventional perceptions. This is 2600 years later. 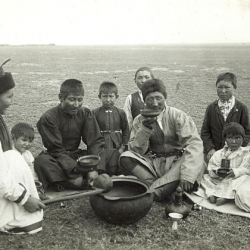 The ‘times, environment and people’ have changed, but the message of truth is still the same. So in order to brin gDharma effectively to people today, the teacher has to use unconventional approaches. 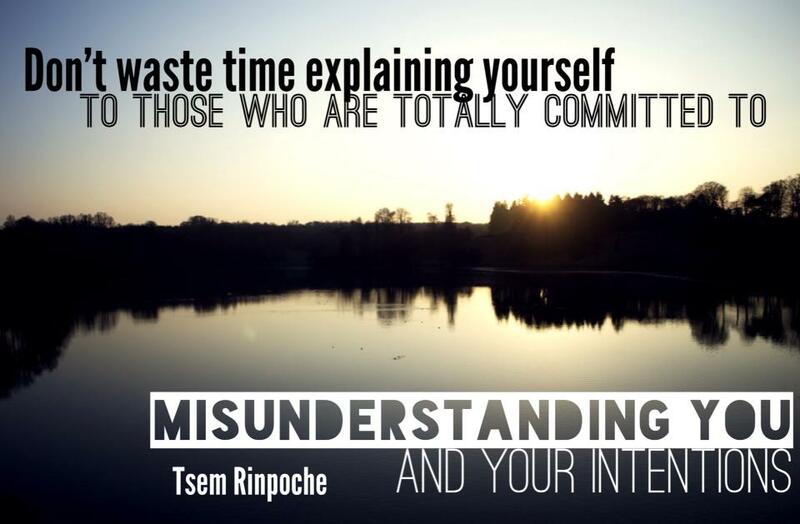 Nevertheless, check the Lamrim and check Tsem Rinpoche’s teachings. 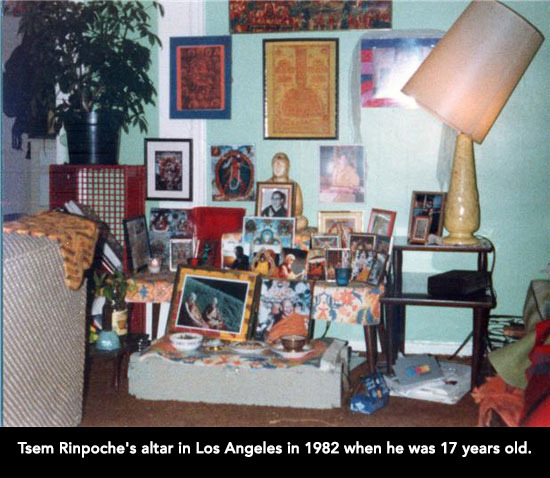 You will find that Tsem Rinpoche’s teachings of the Buddhadharma is error-free. His motivation is pure – to bring the precious Dharma to millions. In his own words: “I will continue to work hard for others’. If there are people out there who can’t relate to his style and approach, and can’t see the woods for the trees, then you have your right of choice. Leave , if you choose too, but don’t criticize! 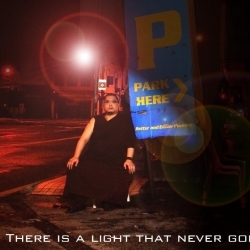 Don’t deprive the millions, who are starved for Dharma as the only path to happiness, by stifling their access to the words of pure Dharma from the unexcelled teacher ,Tsem Rinpoche, and to his great universal love and compassion. If we always re-frame ourselves from change we would never succeed in the real world. It is forever changing and we are forever required to adapt if we want to keep up. People who has opt for a change for improvement has always been criticized and put down, and if those who continue with change other people would soon realize the mistake they’ve made not to accept that change. We should never remain dormant in order to improvement and accept change. If Rinpoche’s teaching do not suit you please stop criticizing Rinpoche who has been recognized as a Rinpoche, criticizing a Rinpoche would only create more negative karma than criticizing a normal person. Just move on and find one that suits you and do not practice the skill of gossiping and criticizing. Without Rinpoche I would not be the person I am today and I want to thank Rinpoche from the bottom of my heart. Being exposed to dharma has led me to be slightly more compassionate, kind, patient and tolerable to other people and many more. I hope Rinpoche is well and doesn’t get affected by those who try to put you down. Thank you rinpoche for your efforts! I like your creative way in spreading the dharma for us. 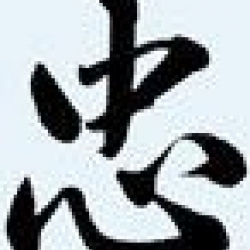 It’s works and I realized that it’s much easier for us to understand it. a) Have you been meet a teacher who behave “traditionally” and use “traditional method” to spread the dharma? If YES, could you understand it ? If YES again, then please respect to those teacher who’re using creative way of teaching and please don’t criticize it. If you cant understand the teaching received via the “traditional”teaching method, then why don’t you try to receive the teaching from a teacher who is using creative ways? Thank you rinpoche for your kindness. May you live long and continue to turn the wheel of dharma. Rinpoche always bring people to dharma in a modern way, that deliver the essence of what dharma is. It’s fun, unique and keeps the younger generations interested and wanting to learn more. That’s the wonder of his approach to Buddhism. I must say… I find it really relevant to the environment now and it suites me perfectly. With folded hands, Rinpoche, thank you for all the guidance, dharma and love u gave us – all students of yours. The way u care for us and the method u use to bring Buddhism and Dharma to us is perfect. 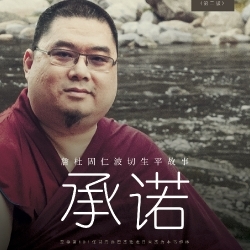 It is the end results that I believe is the most important as more and more people are attracted to Buddhism because of u.
Rinpoche is truly a very special Lama, every Lama has His own ways of spreading the Dharma and of course Rinpoche too. People may like or dislike Rinpoche’s modern ways of teachings and some are just simply jealous because they are not happy and don’t get what they want. I really love the quote by William Shakespeare, cause if you dislike someone, you are wasting your time as you have to keep reminding yourself that your don’t like him, you hate him etc. I completely agree with Rinpoche. Tsem Rinpoche is Tsem Rinpoche. Students cannot expect their teacher to change because the teacher knows what is best for his students. Should a student be unable to appreciate the teacher and decide to leave, then leave! But, do not criticize a teacher. When a person criticizes a guru, it promotes an unhealthy culture of mistrust between future students to the guru. Faith will be lacking as criticism increases. This is bad. Never talk badly about a guru. It doesn’t matter if it is your own guru or another. Most times it is more difficult to be who we really are. We hide behind a façade or a multitude of walls because we fear that who we are may not be good enough for others. We then project a false representation of ourselves and we go through life being someone we are not… and we wonder why we are unhappy… As always, Rinpoche continuously leads by example and uses Rinpoche’s own life and action as a teaching for others! When people who do not understand you, don’t need any explanation, because they will still misunderstand you, for people who understand you, they do not need any explanation. So don’t need to waste time keep explaining, as long as we do our work well and go all the way, we will eventually proof to them by our result, then at that time, people who supported us will rejoice for us, and people who does not support us, will start to understand us. Result / outcome is the loudest and strongest explanation to everyone out there. I am 100% agree with Rinpoche as nowadays our lifestyles have changed totally compared to last 10 years, 20 years or more. We look onto our smart phones and tablet screen more than our loved ones, people tend to look forward to oversea vacations at least once a year and many people comparing the good meals and their way of livings. We have to change the way and method to bring the Dharma closer to the people in order to sustain Buddhism, Buddha’s teachings, maintain the peaceful environment and bring more happiness to everyone who is getting more and more deluded with the worldly pleasures through the advance of technology today. 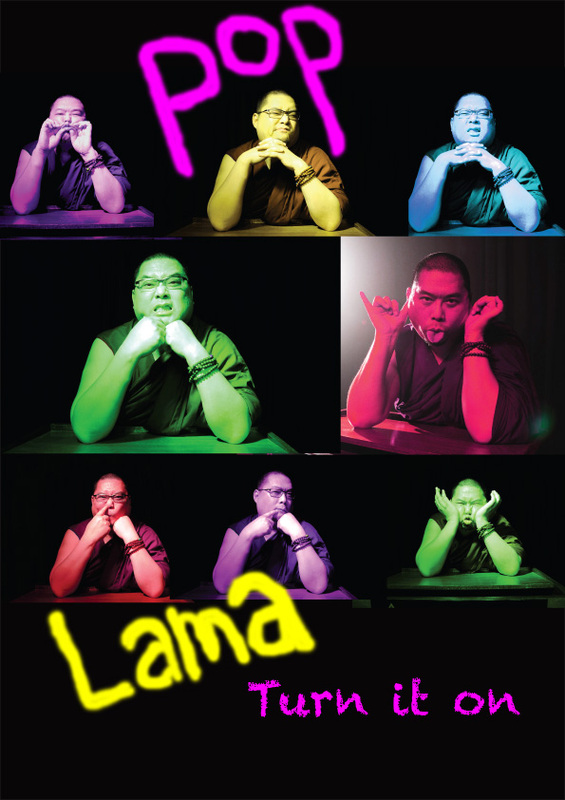 Anyone can be a teacher but no one can be Tsem Rinpoche! Always humble with tremendous caring attitude towards all his students.The best teacher is the one who says they have nothing to give. 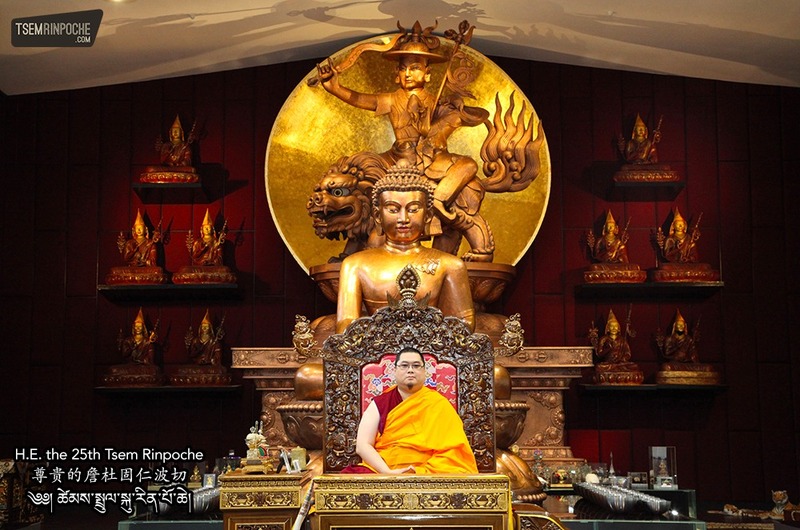 Rinpoche had to endure hardship and unnecessary sufferings for us to receive the Dharma to apply it in our daily life. 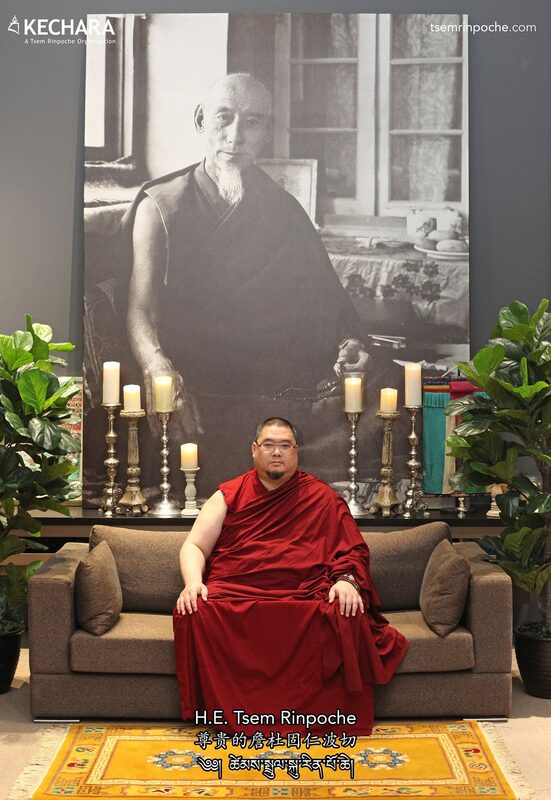 Words cannot express the love and heartfelt gratitude towards our beloved Guru.I am one proud student of H.E.Tsem Tulku Rinpoche.May we be blessed to have Rinpoche with us for a long time. All I could say is Thank You Rinpoche for all your effort to bring to light the Dharma in to this New Age of Modernization in order to spread it to the world at a faster pace. You do not need to change you way ,but we need to change our way of perception of the way we think.Which is limited by our own ignorance and ego. Who are we to question.If,we do not even have control over our own emotion and our constant desire to remain complacent . I dare not comment on others as I have not subdue my own demons within. Yes, whatever Rinpoche shared in his Dharma teaching with us is perfectly geniune and enlightening, especially his enthusiastic perserverance. This virtue is the root of all his perfections – a virtuous conduct motivated by one’s own enthusiasm. Due to our own laziness, we speak of the difficulty of attaining enlightenment. By making such excuses,we create our own obstacles to the practice of Dharma. By having been imprisoned in Samsara for so long, one should be willing to make all sacrifices in order to attain liberation at all costs, instead of making excuses. Every human being, because of the existence of Buddha’s nature in him, is said to be able to attain one’s level of enlightenment with proper guidance, but of course, depending “wholly” on one’s individual optimistic and hardworking practice! Presently, our mind container still being filled with the stains and contents of negavity of reckless faults and behaviour, delusions, abuses, anger and reckless blamings and pin-pointing of faults on others, thereby causing others to suffer! Therefore, many indication of us having being transformed, is mistakenly taken as a reversed effect/attitude, thus causing Rinpoche to endure many unnecessary suffering of critiscms, insults and faultless blames, to which we express our deepest heartfelt apology and regrets!!! We are really blessed enough then only enable us to meet Rinpoche in this life , in Malaysia. This really like strike the first prize TOTO to able meet spiritual teacher.Rinpoche teach us Dharma in modern way which suits the current environment, it really benefits us in term to how to transform our mind and apply in our daily life.This really wasted if we use our narrow mind and preception to reject ourselves to a good Guru. A sudden thought came to me “Skilful means is not meant to be understand, unless one has the good merit or karma to have faith even without understanding, when the good karma or merit ripens, one will eventually realize and understand the guru’s uniqueness and the meaning behind such unconventional ways.” There are many great master like Chogyam Trungpa Rinpoche and Lama Yeshe who teaches and bring the Dharma others in the most unconventional ways, they were also being criticised as well. In the end, they successfully transformed others life for the better. From Rinpoche I’ve learnt that, when we know what brings real benefits to others, we must go all the way and do it with strong determination. People who don’t understand will highly criticise others who are the minority trying to do good deeds. People who understand will support and even encourages one to hang on and surely the light will shines through. 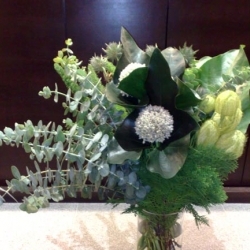 Love you just the way you are….unconventional, fabulous, loving, compassionate, selfless and real. Anyway, no one should criticise you, your ideas or approaches as they have not even walked half a mile in your shoes. It takes so much courage to be who you really are. What I have learnt from this revelation from Rinpoche is that whatever or whoever you are, your intentions and motivations are to be true in serving others and NOT of selfishness. This blog reminds of what Rinpoche teaches NOTHING CHANGES AND EVERYTHING CHANGES from pure change of intentions and motivations. Dear Rinpoche thank you for sharing your thought. I think is very true what Rinpoche has share with us we do not need to explain why we do thing with this way or how a person want to do it, as long as the motivation is not to harm others or taking advantage of others the end result is important than anything else. I love the quote that Rinpoche share with us is very true and inspiring. 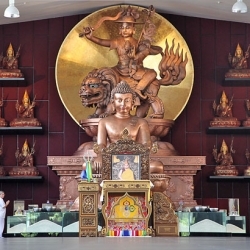 Only after i am in Kechara, i learnt that compassion does not means giving in and being weak. Same as why some Buddhas looking wrathful – it doesnt mean they are not compassion and not enlighten. What you see might not be what you see, so look within the pure motivation and you will be touched by what Rinpoche has done. If you have to speak to a little child using baby language in order to communicate effectively, then a less traditional method has to be used in order to teach Dharma effectively to modern people. Not that we are so advanced that a Lama has to teach us using our ways, but because we are not at the level to understand Dharma using the traditional way. The beauty of Dharma is that, not matter how the environment or condition has changed, it is still applicable, it does not become obsolete. “We love you just the way you are”…the song that echos our mind. You challenge our comfort zones most of the times and make us face up to what we potentially could be….to let go and to fully place our trust in you for the roller coaster journey of gaining realization & ultimate happiness. The journey itself is never conventional, so why expect a conventional Guru? It is we that need polishing to see the true gem of a precious Guru that you are. Reading this article and did a bit of contemplation and it brought tears to my eyes… There are so many people who pretend whom they are not for the benefit of themselves, for the fame, money, etc. And yet there are people in the extreme of the spectrum like Rinpoche who care only about bringing true happiness to others, but care not about the projections, masks, image, etc. I’m truly in blessings to be able to find Rinpoche in this life, even though a bit late.. LOL.. Sometimes when I think about how people judge Rinpoche. It doesn’t makes sense when we’ve not gone through the same training and situations which Rinpoche has endured. We do not hold the same monk vows, the same Bodhisattva vows, the same Tantric vows, the same guru devotion which Rinpoche does. Hence, Rinpoche is unique in every single way. 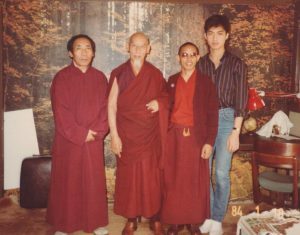 Those who are touched by him should know how much impact which Rinpoche has given us when we come into contact with him. Repay Rinpoche’s kindness by emulating his good qualities in joining the river of his vast deeds to help those who are in need. this is so correct, sometimes i try so hard to be like him or her when i have to be me and if your friends do not accept you then they are not real friends. thank you Rinpoche for sharing this and i will be me and not try to be anyone else. That is Tsem Rinpoche!! !Rinpoche always straight forward and direct. This is Rinpoche’s style, of course some people don’t like Rinpoche but you cannot deny our Guru is sincere, hard working, always think about others more than himself, detail, caring and full of passion. You like or not, doesn’t change anything because the true is Rinpoche can bring real happiness to others, do you? Rinpoche truly is a very special teacher. I honestly love the method of Rinpoche’s teachings. Rinpoche teaches in a way that his teaching can be spread even through younger audiences. And i think that this is very important because the younger generation is the generation that will eventually take over, and when it takes over, we must hope for the knowledge of Dharma to be within it. Thank you for sharing. Nothing is fixed. If we need to follow the traditional ways all the time or we need to just follow the norm, then there will be no airplane, no light bulb in the world now. And Buddhism is about changing perception, why we hold on to our projections/values so much and we judge/criticize other Gurus other centers based on that? I don’t care what people say about my Guru, because everyone can see how I changed and they know who I were before. And all the changes in me are because of Rinpoche. No matter what ways Rinpoche uses to teach me, I am a better version of me now this is for sure! Those pictures actually cheer me up! Thank you Rinpoche for sharing your thoughts. 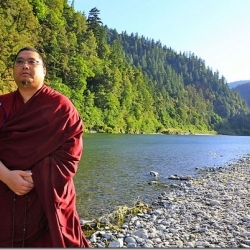 Rinpoche is always thinking of many different modern ways to spread the Dharma. Not trying to be someone else but stick to being your true self is the best as you are not faking anything. Though sometimes people might not agree with you, you know deep inside your heart, your true motivation is to benefit others. Thank you Rinpoche again. I will be myself and not try to be someone else. We love you as you are, Rinpoche! For those who criticized, well they can always find another teacher to their liking. It’s their choice and no one is stopping them. Thank you, Rinpoche, for being the way you are and bring dharma to the millions and billions who are attracted to your style! Instead of keeping on sorry I do better do more Manjushri when the obscurations started to arise. I believed most of the time we will always have a wrong projection on others due to some fixed, old-fashioned ideas on some things that we believed it should be in this way. This is an arrogant minded. I have learned to keep my mouth totally shut up when I have some questions on others’ way of doing things. Rinpoche you are right and I believed you knew the way I use to think. You are just giving me much care and time for me to make a change. Hope you can forgive what I have been doing in now and in the past. I will leave early to FGS in 16th September because they need help too. I have something for Rinpoche and I will bring it to Rinpoche when I come to KFR. Thank you for giving advice to us that makes our mind and faith becoming more stable and firmed. Will remember Rinpoche’s kindness and caring to me always. With a sincere mind and folded hands. yes stay beautiful you, your commitments and courage all you have done for others and the Dharma will last eons. Respect for you eminent all around this world. 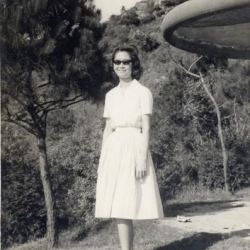 Diana… honestly if Rinpoche was not the typical calm and quiet kind of traditional monk, I think I would not have gotten in Buddhism. Many of us would not. It is because Rinpoche’s fun, creative and most of all down to earth approach that make Him real and all the more easier for us to relate to the Dharma. I am glad I found my “Perfect” Guru and I hope others will find theirs too and be happy instead of criticising other people’s Guru. That is like totally bad ethics and very disrespectful. It’s like slapping everyone’s faces who is following that Guru… how dare they. But you know it also shows how much they are unhappy about themselves. Actually they are the one suffering the most, sad to say. Dear Rinpoche you have always been nice to me and gave me so much gifts and care. You are the person that is more kind then anybody that i have met in my whole life. Please live long and continue to turn the wheel of dharma. I totally agree with Rinpoche on sticking with what Rinpoche thinks its best and everything will be ok no matter how many people criticize Rinpoche’s ways, their a ways and methods out there that are waiting to be discovered and it is great that instead of following other methods of conveying Dharma to people Rinpoche is coming up and putting in to action all kinds of new ways for Rinpoche to convey Dharma to people. Though Rinpoche is not a goody goody, traditional Lama I am still happy that Rinpoche has his own creative ways for spreading the Dharma! Thank you Rinpoche for sharing your thought…. and also nice pictures! Right on, my dearest Rinpoche! Gosh, that just came out. 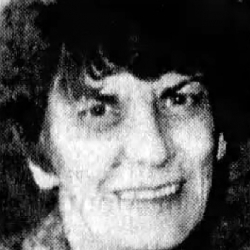 I think I must have been an African American in my previous incarnation. Now Chinese Malaysian. Forthright, skillful and quick, that is what H.E.’s achieves. _//\\_ Why not call a circle a circle, instead of calling is a shape where the borders have no beginning and no end and where the maximum width is an infinite number of lines that pass through its centre? Duhhhhh!